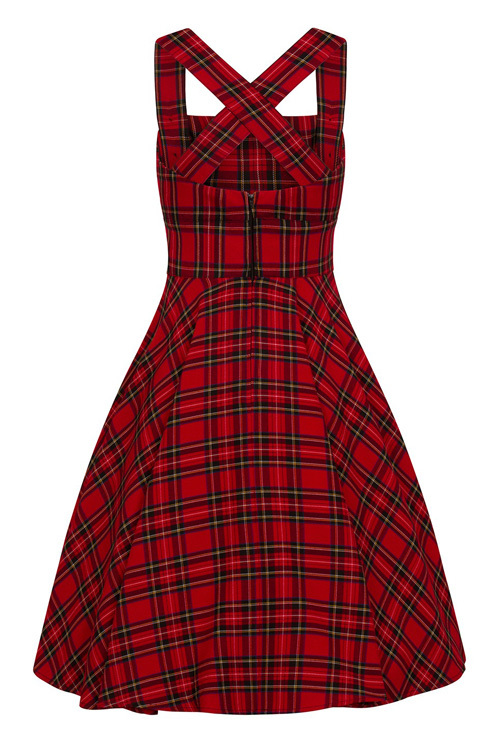 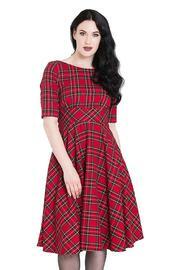 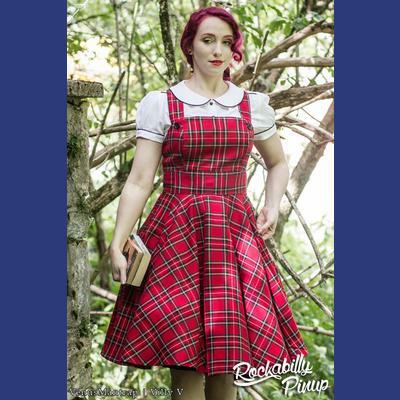 Irvine pinafore dress by Hell Bunny is made from a gorgeous red tartan. 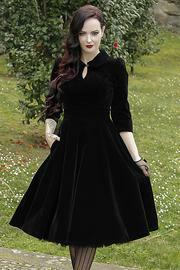 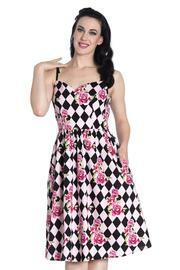 It has crossover straps at the back and button on the front straps. 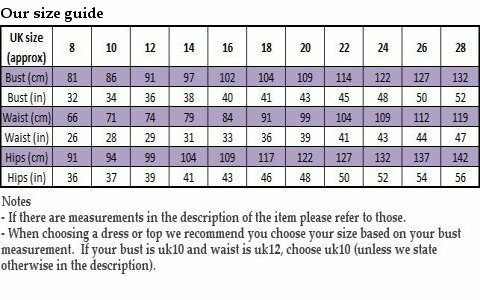 There is a zip in the centre back. 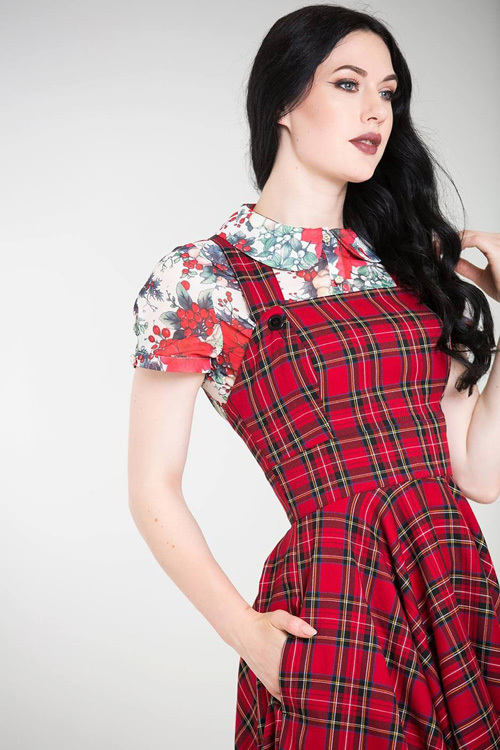 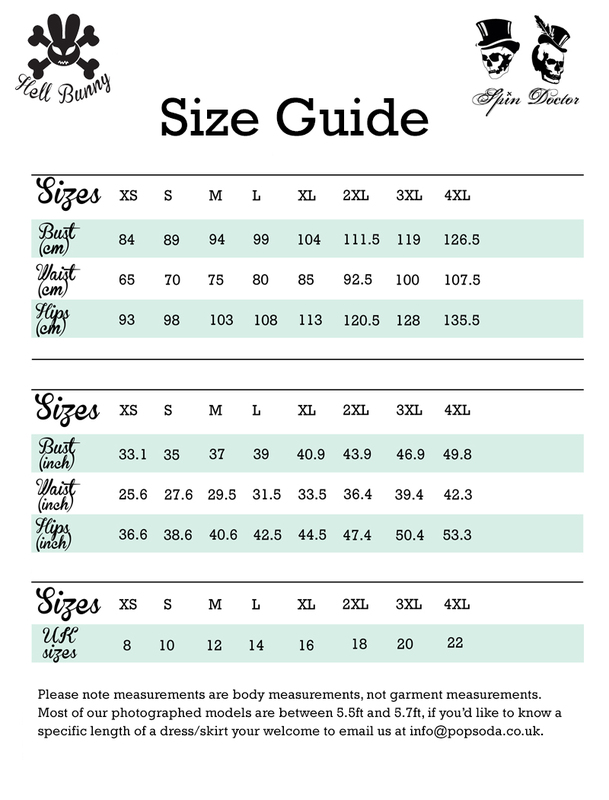 Please note that the models wear the Irvine Pinafore Dress over a blouse that currently isn't in stock.